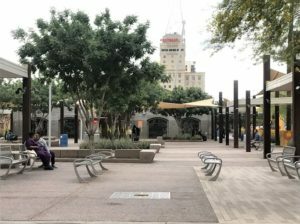 After receiving final plat approval from the City of Phoenix, JAG Development (Allan Gutkin & Benjamin Gutkin; Principals) has sold off a prime Downtown Phoenix site targeted for 20 townhomes. According to public record (click here to view the affidavit), SRM I – Phoenix LLC (Ryan Muzzarelli, Dustin Riley & Michael Smith; Managers) closed on JAG’s approximate 1.47 acre site that received final plat approval from the City of Phoenix back on 1/15/2014. The deal closed for $1,323,000 ($66,150 per lot / $900,000 per acre). 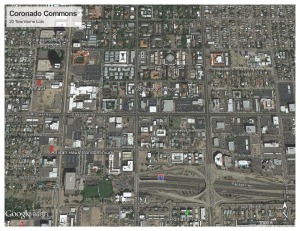 The condominium plat, Coronado Commons, is planned as 20 – three story single family attached units built around a large common space in the center of the site. Common space will include a pool and lawn. Unit count is as follows: 11 – 2 bedroom homes / 9 – 3 bedroom homes. Each unit will have an attached 2 car garage and 6 community parking spaces will be provided for a total of 46 parking spaces. 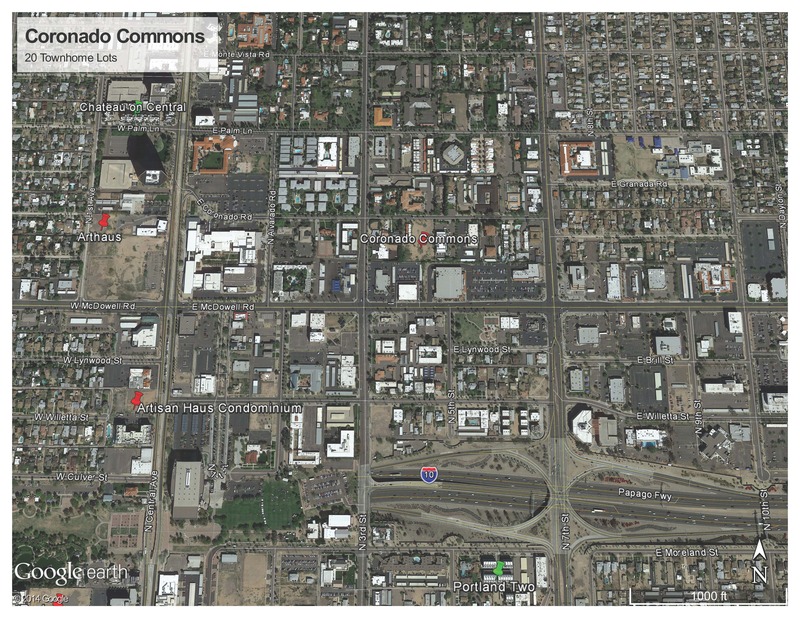 According to public record (click here to view the affidavit), Coronado Commons PHX LLC (JAG Development) originally acquired this site from the Maricopa County Medical Society back on 8/30/2013. That deal closed for $530,400 ($26,250 per lot / $360,816 per acre) soon after JAG received preliminary plat approval from the City on 8/23/2013.